My first article on the Weston A. Price Foundation‘s Wise Traditions Regional Conference in Detroit covered the Michigan natives that spoke and exhibited. In addition to the locals, the conference was also filled with many other wise speakers and exhibitors, whether they be nutritionists, authors, farmers, entrepreneurs, or any other people in the field of nutrient dense foods. As with every Wise Traditions conference, attendees had the opportunity to see multiple presentations by Weston A. Price founder and president Sally Fallon. Her topics ranged from getting started on nourishing traditional diets to raising a healthy baby. Sally also led the final panel at the end of the conference with a number of the other key speakers, where they could each answer people’s general questions about real food and natural living. 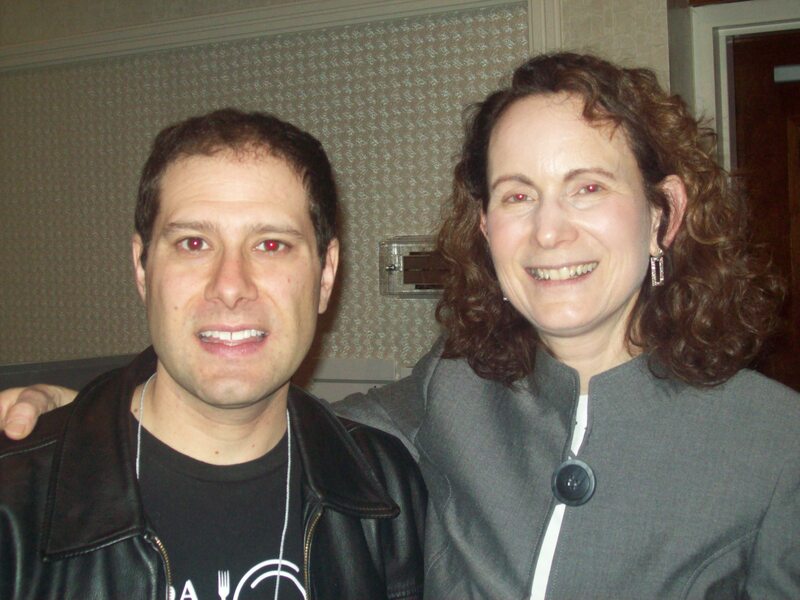 I was fortunate to have the opportunity to meet Sally while attending. A number of the other Weston Price board members spoke at the conference. WAPF vice president Kaayla Daniel gave several presentations. Kaayla is also known as the Naughty Nutritionist, which she describes as “outrageously and humorously debunking nutritional myths”. Her panel on the myths about vegetarianism did just that. 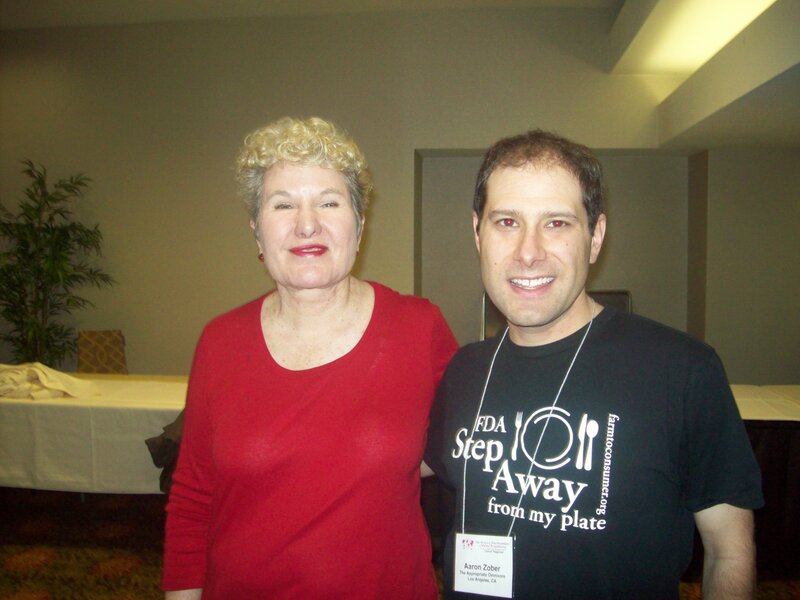 She gave a lively presentation that was a great mix of facts and humor about why we need animal fats to be healthy. 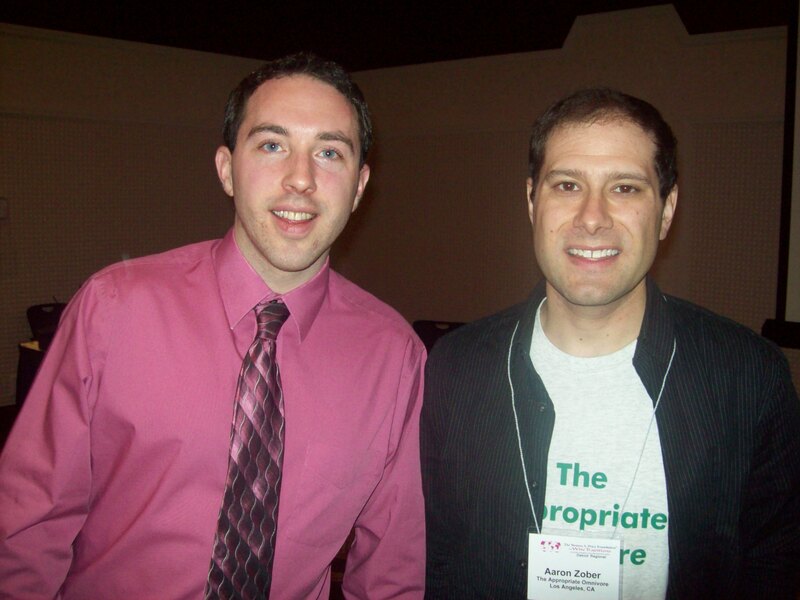 Chris Masterjohn is another frequent speaker at the conferences. He recently received his PhD in nutritional sciences. Chris runs the website Cholesterol and Health, which includes his articles debunking myths and explaining the truth about cholesterol. He also has a blog on the WAPF website called Mother Nature Obeyed, as well as often writes articles for the Weston Price’s quarterly journal Wise Traditions. 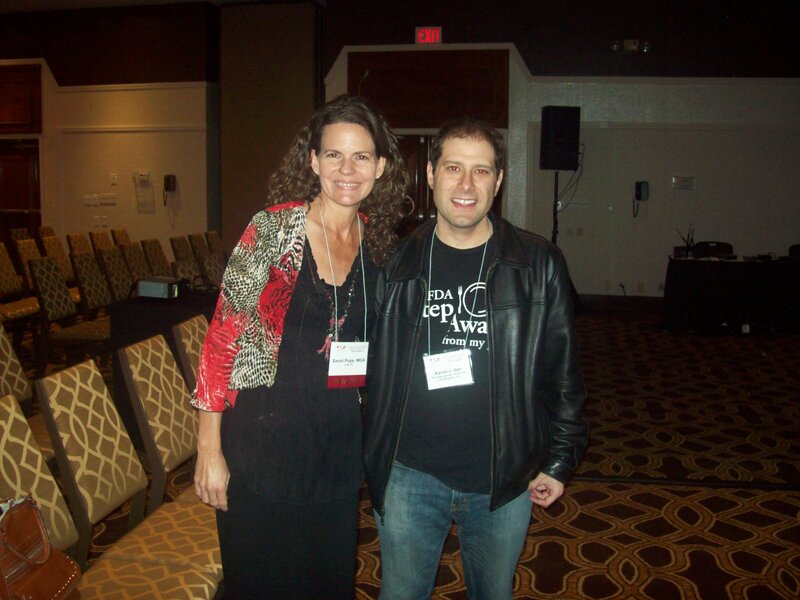 Chris gave his popular presentations at the conference on fat-soluble vitamins and cod liver oil. Another board member that spoke was recording secretary Sarah Pope, or The Healthy Home Economist as she’s know as in the blogosphere. Since she is The Healthy Home Economist, it was appropriate that she talked about getting your family on track with nutrient dense foods. Kathryn Pirtle is an honorary board member. 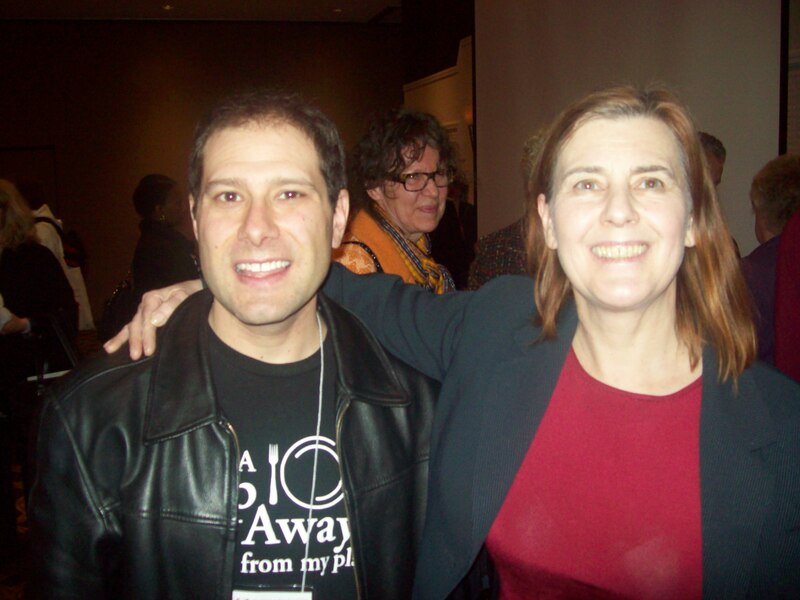 She’s a musician and co-authored the book Perfomance without Pain with Sally Fallon. She’s a world class clarinetist whose career almost ended because of numerous health problems. She gave a presentation on healing chronic inflammation, digestion, and acid reflux with nutrient dense foods, where she explained how she personally overcame all of her health issues and how the Weston A. Price Foundation was an enormous help. The Farm-to-Consumer Legal Defense Fund is a sister organization of Weston A. Price and an outstanding non-profit that continues to fight for small farmers being able to sell their products to consumers without government interference. You can always find their booth at the Wise Traditions conferences and buy their great T-shirts and other products to help support them. I’ve become good friends with Gene Walls, who does administrative support for FTCLDF. 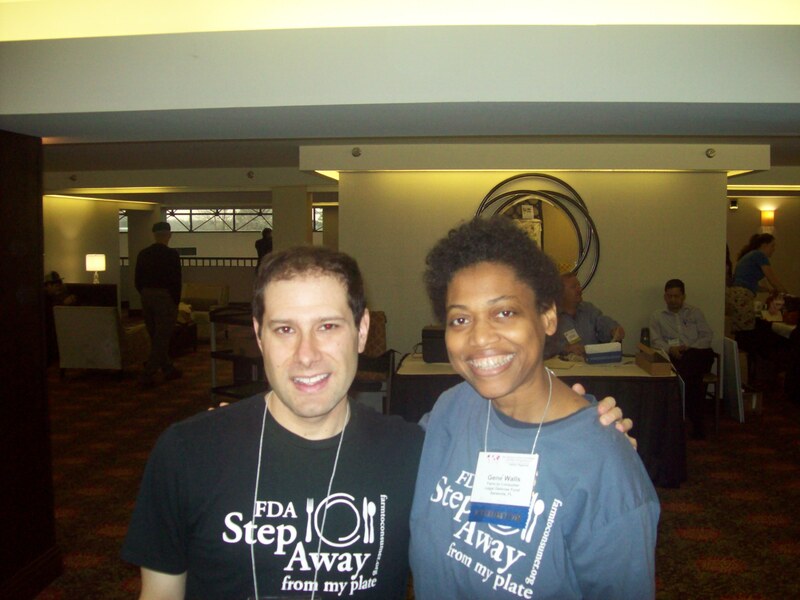 We both happened to be wearing our T-shirts from the organization that say “FDA – Step Away from My Plate”. So I couldn’t resist getting a photo of us being T-shirt twins. 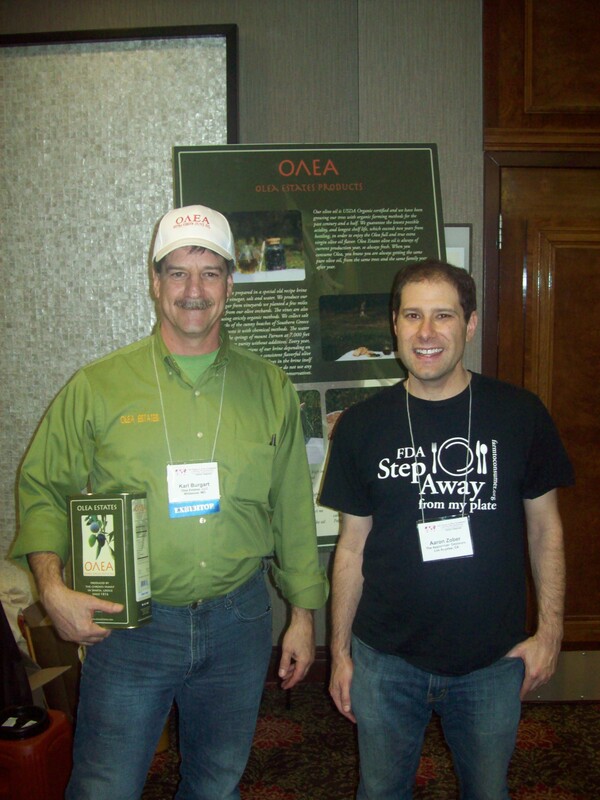 Karl Burgart, the U.S. distributor for Greek olive orchards Olea Estates can often be found at conferences for Weston Price as well as other festivals for real food. It’s hard to find to real olive oil as well olives that are cured naturally, so when you see olive producers at a Wise Traditions conference, you know they’re the real deal. I first discovered Olea at the conference back in November and am glad to be using an olive oil I can trust. 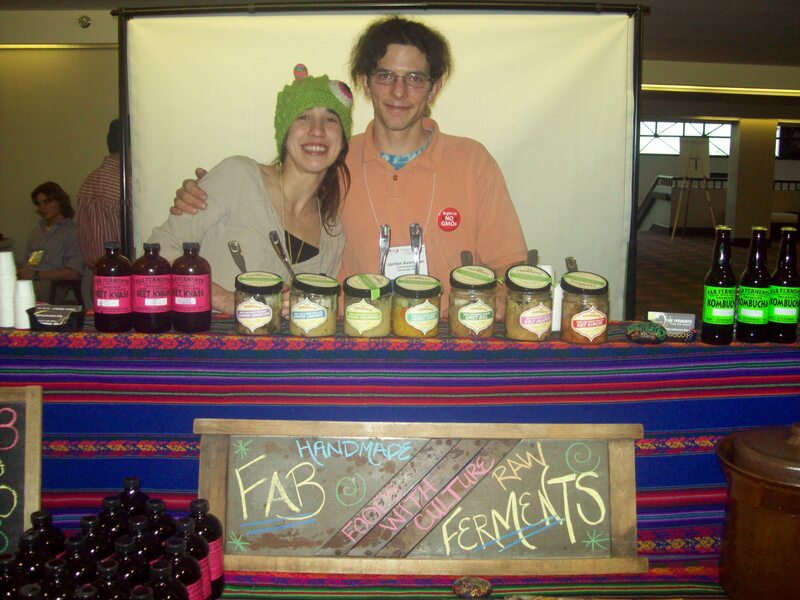 Fab Ferments is another business often making its way out to the conferences. They’re based out of Cincinnati, OH, so this one was right in their region. Jennifer De Marco and Jordan Averman are Weston Price members that produce sauerkraut, beet kvass, and kombucha. In addition, they also have their own farm. It was great to meet some fellow buckeyes. This is a Weston Price conference, so of course there’s more kombucha. 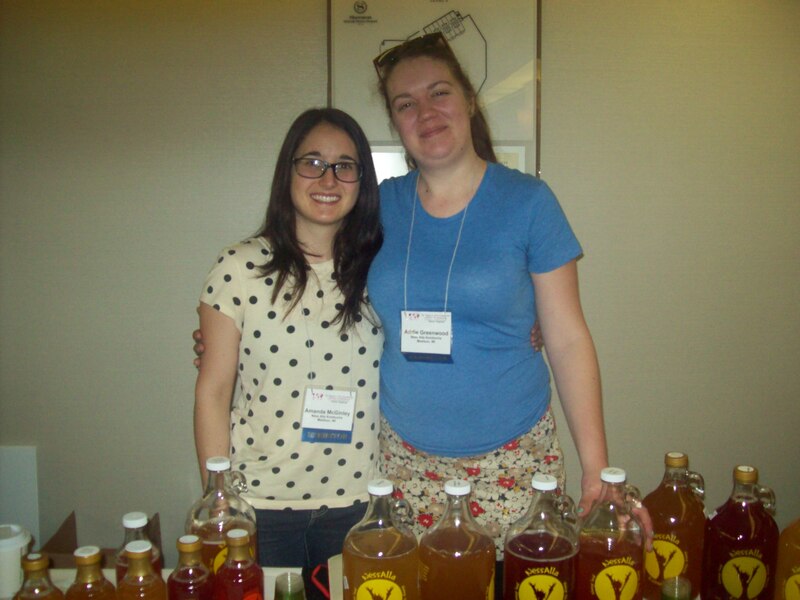 Amanda McGinley and Addie Greenwood run the Madison, WI based Ness Alla Kombucha . Their kombucha was offered with all of the meals at the conference.